This year, Sunflower Elementary School proudly adopted AVID Elementary. As part of our implementation, we hosted AVID101, ​a student-led parent night. I’m excited to share with you our organization, planning, and implementation of the night. A couple of weeks prior to our parent night, the AVID team met to brainstorm. At this point, the team consists of our school principal, Mrs. Jeanette Quiroz, our curriculum coach, Mr. Jordy Tollefson, and the sixth grade teachers, Miss Stephanie Steffens, Ms. Virginia Pineda, and myself, Mrs. Marilyn McAlister. Next year, fifth grade will be added. At our planning session, we talked about our focus areas for this year. 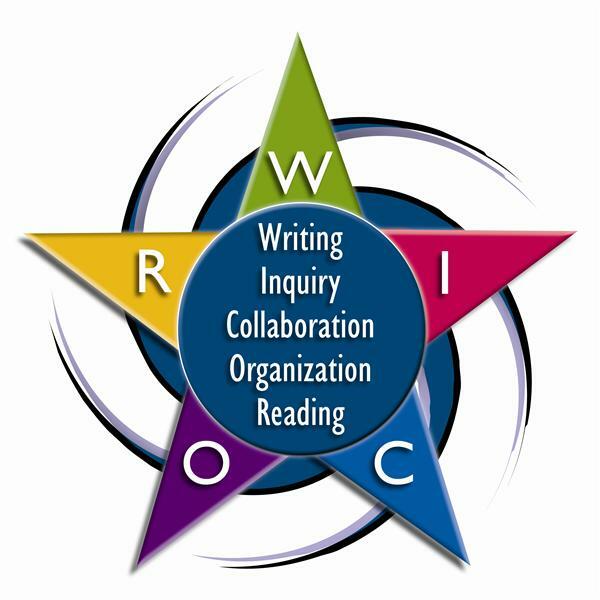 Immediately, we knew that binders and planners needed to be shared since the “O” component of WICOR, organization, is a focus for us. Ms. Pineda has a passion for one-pagers, and our students really like them, so this became a presentation piece. And, since all of our classes implement close reading, we decided to include annotations, or writing in the margins. We also wanted to have a guest speaker. Previously, in another academic cohort, PRIME, we had been fortunate enough to work with Mrs. Denise Cabanilla the College and Career coordinator at our county Office of Education. Mr. Tollefson decided to invite her to be our guest speaker. How would we structure our night? For two years now, I’ve been working on creating a student-led classroom. Inspired by the work of Paul Solaris and Dave Burgess, we’ve come a long way. I pitched the idea of a student-led parent night. The team loved the idea. We decided on a station rotation model where students and their parents would cycle through our four classrooms with students leading the sessions. Before the actual night, a shoutout for presenters was made. About 10 students were up for the challenge. We met at our table to discuss the plans for the night. Students grouped themselves into pairs, then conducted practice sessions with each other. For some, presenting is in their comfort zone. For others, public speaking is definitely taking a risk. The acronym AVID stands for “Advancement via Individual Determination”. Stepping up to the challenge showed a desire for personal growth and becoming part of a community of learners. ​We started the night in our multipurpose room. About 60 people were in attendance including students, parents, a couple of grandparents, and siblings. Mrs. Quiroz welcomed students and guests and gave a brief overview of AVID. Our guest speaker, Mrs. Denise Cabanilla, from the Imperial County Office of Education, gave an informative and inspiring presentation on college and career readiness. She stressed that, as a 6th grader, it’s not too early to start planning for the future. She talked about the importance of early preparation, the A-G requirements for college acceptance, the value of extra curricular activities, and local programs available to our students. She ended by sharing with parents that by being here tonight, they are showing their children how much they value their child’s future. For an hour, parents and students rotated through the four stations in small groups. Each session lasted 15 minutes. Mr. Tollefson hosted the binder station. Students shared the organization of the binders and walked their parents through their own binders. Mr. Tollefson also does one-on-one binder talks with our students. The personal time allows students to take pride in their organization and help them see where improvements are needed. For a student walk-through, watch this video. Ms. Pineda’s session focused on one-pagers. Students proudly shared their one-pagers with their parents. The mindset behind one pagers is that students pull out important information in a text and present it in an eye-catching, organized fashion that incorporates text and visual representations. For more detailed information on one-pagers, read this. Miss Steffen’s group discussed planners and how they are used daily to document work done in class, plan long term projects, and keep track of upcoming school related events. They have become an integral piece in home-school communication. Students shared their planners and explained how teachers write agendas on the board to help stay focused during the day. My room shared how we annotate our close reading texts. Students shared six main strategies, shared their own annotations with their parents, then practiced annotating a piece of text with their parents. Close reading and annotations are part of the reading and writing components of AVID. For the six strategies, read this. To conclude our parent night, Mrs. Quiroz raffled off prizes. Prizes included binders, zipper pouches with post-its, a highlighter, and a pencil, colored pencils, and three hole-punches that fit right inside a binder. As it turned out, there were enough prizes for each student that attended. After the parent night, students, parents, and educators were invited to complete a reflection of the night on this Google form. Let’s take a look at some of the responses. What did you learn from the College and Career speaker, Denise Cabanilla? "It is important to prepare for college many years in advance." "I learned that it’s never too early to start saving money for college." "AVID teaches skills, along with knowledge, that help children be successful." "I learned that one of the best things a parent can do is to attend school events with their children." What did you learn during the stations? "I learned that our planners can be used later in life. Like when you have a meeting or when your next paycheck is due." "What I learned during each station is how they each explained why we use the tools in AVID to help us be more organized. I know my grandparents learned a lot as well." "That success in AVID will prepare my child for the future." "I noticed that a lot of personal reflection and relevant connections can make students grow academically." What did you like best about AVID 101 night? "What I liked best about AVID night was that parents came to the presentation, some of them with their kids, which meant a lot because that shows their son or daughter that they care about their education and that they support them." "The reinforcement behind it and how much my child is so dedicated and involved with AVID." "I like that the parents asked questions and had a positive attitude." "I got to spend time with my mom." How can AVID 101 night be improved? "We need more parents and students involved." "More time for each station." "It was well organized for the first time." As an AVID team, we were very pleased with the night. Students did a great job presenting, parents got time to learn about AVID and spend time with their children, and as educators, we learned even more about AVID during the process. Thank you to everyone involved in Sunflower’s first AVID101 student-led parent night. Way to go Marilyn! I love reading about your experiences with AVID Elementary, and the impact you're making on your kiddos. Your students are going to leave 6th grade so prepared and ready for their futures. I shared your blog post with our AVID team, and I'm going to encourage our team to use this model next year for our fall AVID parent night. Wow Marilyn, I love this post! It gave me so many ideas for our own "back to school morning" that we hold in September. For parents who've been in our school for years, it's very repetitive and we've tried to change it up in the past (for instance, with our failed Parent Edcamp) but nothing has really worked. As I read your piece I had one ah-ha moment after another. I think using student presenters would be motivating for everyone. I'll be sharing your post with our teachers to see what they think. Congrats on a successful parent night! I love the student ownership - it sounds like just the right blend of freedom and direction for them to make it successful.